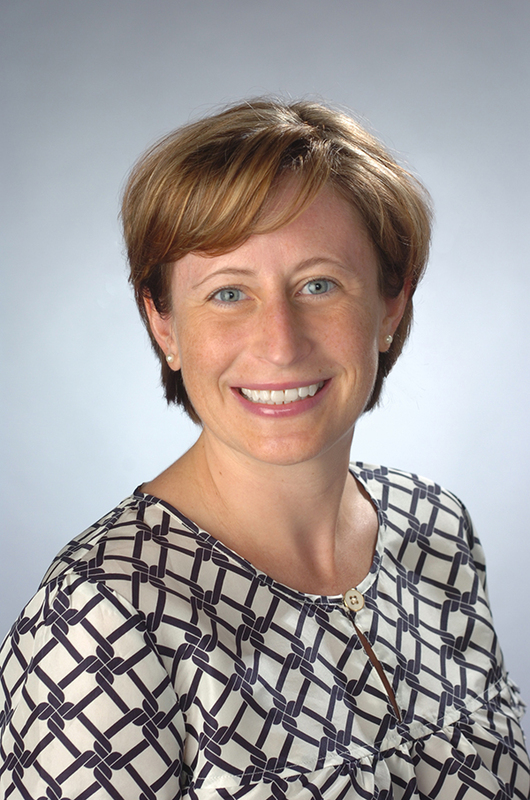 Dr. Katherine (Katie) McDonald is a Professor of Public Health in the Falk College of Sport and Human Dynamics and a Faculty Fellow at the Burton Blatt Institute at Syracuse University. Dr. McDonald received her B.S. with Distinction in Human Development and Family Studies with a minor in French from Cornell University and her Ph.D. in Community and Prevention Research Psychology from the University of Illinois at Chicago. Dr. McDonald uses ecological theory and social action research to understand and promote the community integration of individuals with disabilities. (1) Respectful, Inclusive Research with Adults with Intellectual and Developmental Disabilities. Dr. McDonald studies human research ethics, with an emphasis on the research participation of adults with intellectual and developmental disabilities. Her long-term goal is to contribute an empirical perspective to respectful, inclusive research practices for adults with intellectual and developmental disabilities. Her mixed methods work in this area includes an array of stakeholders as research partners and research participants. (2) Participatory Action Research Addressing Disparities. Dr. McDonald conducts collaborative research with community-based organizations and community members on health, education, community and employment disparities experienced by individuals with disabilities. One long-standing collaboration is the Academic Autistic Spectrum Partnership in Research and Education (AASPIRE; www.aaspire.org ). AASPIRE conducts research on the needs of autistic adults through academic-autistic partnerships, including studies on access to quality healthcare and employment experiences. With several ADA Centers (http://adata.org/ ) and universities, Dr. McDonald conducts research on community participation among adults with disabilities. She is also working with United Cerebral Palsy to build a network of people with disabilities prepared to engage with and in patient-centered outcomes research (Speak for Yourself). Dr. McDonald received the Stevens-Shapiro Fellowship from the International Association for the Scientific Study of Intellectual Disabilities (IASSID), the Early Career Award from the American Association on Intellectual and Developmental Disabilities (AAIDD), and was an International Visiting Fellow at the University of Western Sydney in Australia. Dr. McDonald is a Fellow in the AAIDD, and Chair of the Institutional Review Board (IRB). Dr. McDonald previously lived in community with individuals with and without intellectual disability in a community of L’Arche. These projects are in a variety of stages; current opportunities for students may include literature searches and analysis, collaborations with community members, and data collection, analysis, and dissemination. People with disabilities experience an array of disparities, including in social determinants of health. However, little information is available to understand these disparities and inform action to reduce them. The American with Disabilities Act Participatory Action Research Consortium (A.D.A.-P.A.R.C.) is a collaborative research project of Americans with Disabilities Act (A.D.A.) Regional Centers and affiliated university researchers. Dr. Katherine McDonald leads the Work and Economics data team with the Region 4 Southeast American with Disabilities Act Center. The A.D.A.-P.A.R.C. is funded by the National Institute on Disability, Independent Living, and Rehabilitation Research (N.I.D.I.L.R.R. ), part of the US Department of Health and Human Services Administration for Community Living. The Community 4All Project is a collaborative research project involving Syracuse University faculty, The Self-Advocacy Association of New York State (S.A.N.Y.S. ), and the National Leadership Consortium on Developmental Disabilities. The project’s aim is to support the right to community living and participation for all people with intellectual disability. Dr. Katherine McDonald is the co-principal investigator of this project. Community 4 All is funded by the National Institute on Disability, Independent Living, and Rehabilitation Research (N.I.D.I.L.R.R. ), part of the U.S. Department of Health and Human Services Administration for Community Living.